If you are a traveler who prefers luxury, then the Rose Cottage Villa at Tryall is the perfect Jamaican retreat. With two large pools, gourmet food, a stunning golf course and red clay tennis courts, you can enjoy as active or as restful of a vacation as you’d like. Perfect for the ultimate pampering experience! 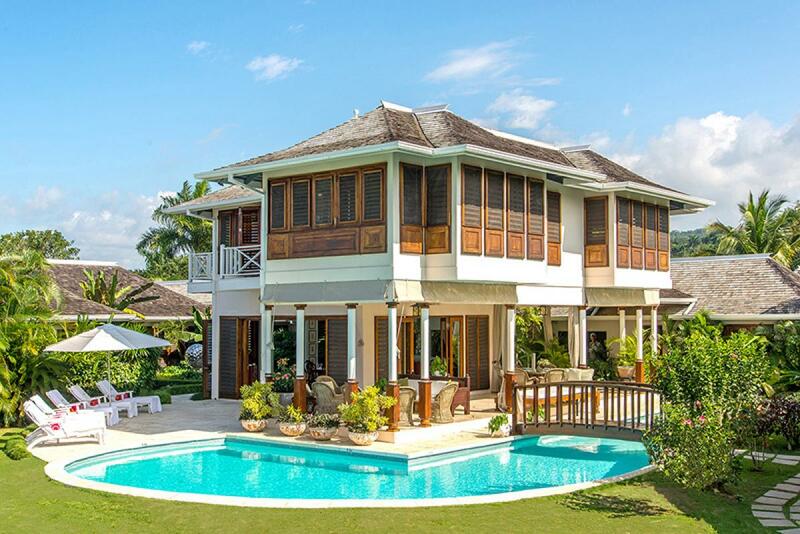 Rose Cottage, a six-bedroom villa features eclectic décor with Asia, Jamaica and Europe touches and has two swimming pools, as well as spacious landscaped tropical gardens. With a private garden dedicated to enhancing the tropical shower experience, a formal living room, an open study and an open veranda/great room which views of Montego Bay, all rooms have ceiling fans and/or air conditioners. In addition to the 75ft. infinity lap pool and it’s gazebo, there is a large garden pool on the south side of the gracious dining room, where many meals are served. Guests are able to enjoy the spectacular sunsets from this dining area. The Rose Cottage staff is prepared to shop for guests at local markets and ensure the highest quality of fresh fruits, vegetables and meats. Two large pools, 75 ft. outdoor lap pool and a heated garden pool which wraps around the dining pavilion. about a 3-5 minute drive to the beach by golf cart.